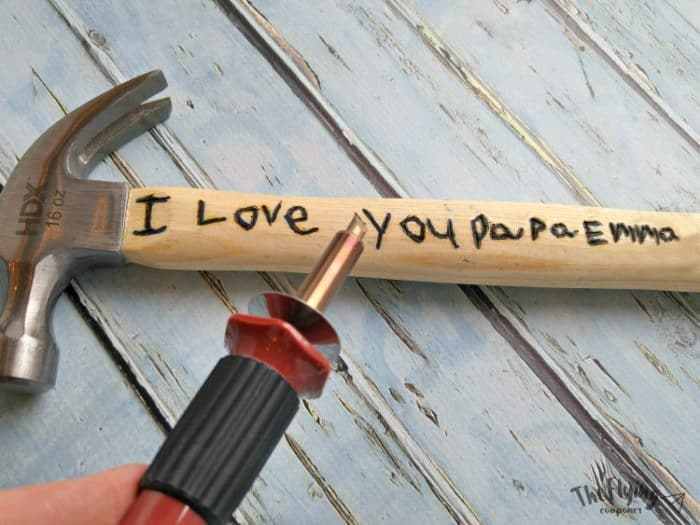 Looking for last minute DIY Father’s Day gift ideas? For the father who owns everything, a gift that you make yourself can mean more than a store-bought gift. Featured today on Theresa’s Reviews, you can check out 5 crafts that you can make at home! New BBQ tools, a watch, or a tie are all traditional Father’s Day gifts, but a handmade gift is a thoughtful way for children to show their father how much they appreciate him. 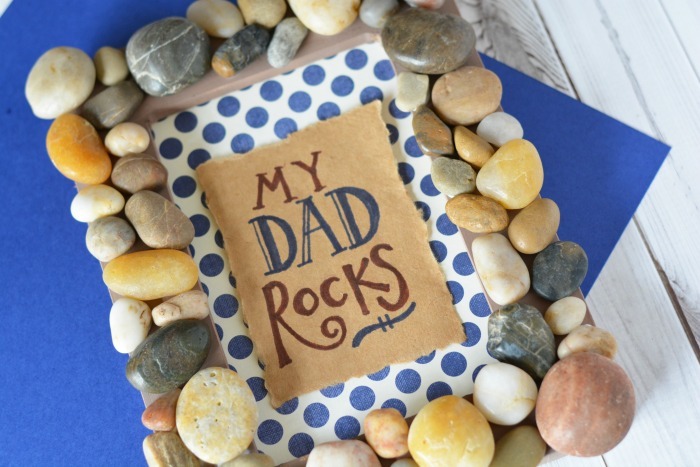 These unique and adorable DIY gift ideas will be a memory dad won’t forget. Looking for a gift for a father who loves nature? Check out this beautiful DIY frame! For a stylish dad who always has a trendy new shirt, check out this creative gift idea! Combine the interests of a dad who enjoys reading and golfing with this gift idea! Know a dad who enjoys grilling? 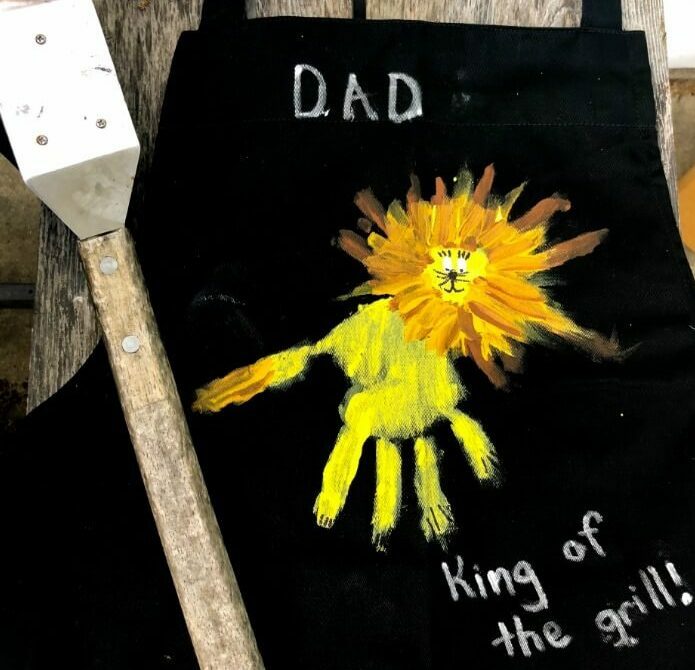 Make this creative “King of the Grill” apron with a child’s handprint! Is dad a handyman who is always working on a project? Check out this neat gift idea with a handwritten message! If you enjoyed reading this, you might also want to check out 3 Paper Craft Gift Ideas. For more DIY craft ideas, follow Theresa’s Reviews on Facebook, Twitter, Instagram, Pinterest, and YouTube. What types of gifts do you give for Father’s Day? Share in the comments! What great ideas! 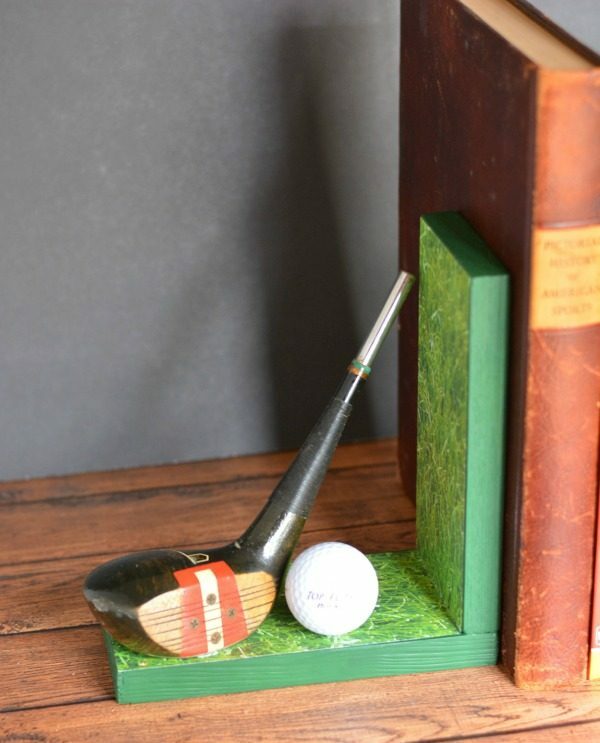 Thanks for including my DIY Golf Bookends. They are awesome! I hope my readers make sure to click through and check them out! Love the ideas! 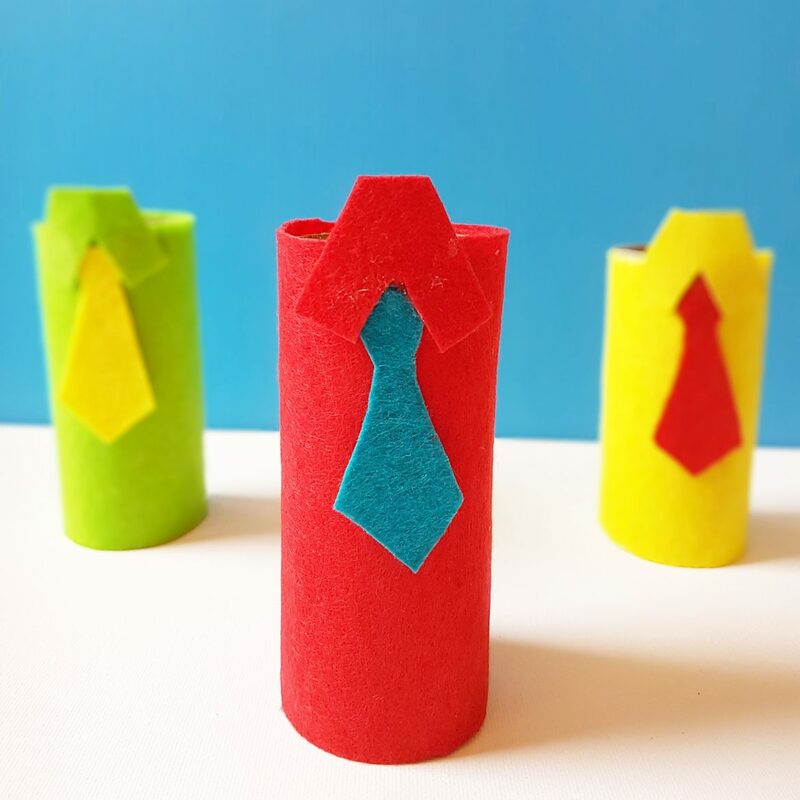 Thank you for including my paper roll shirt father’s day craft. They are super cute! Thanks for letting me share!